The one-person set-up stage — fast & no tools required. It's easier to handle than any other one-person setup stage. Just roll it where you need it and the gas-assisted springs help you lower it smoothly and safely into position. And when you're done, it folds up just as easily and nests compactly. 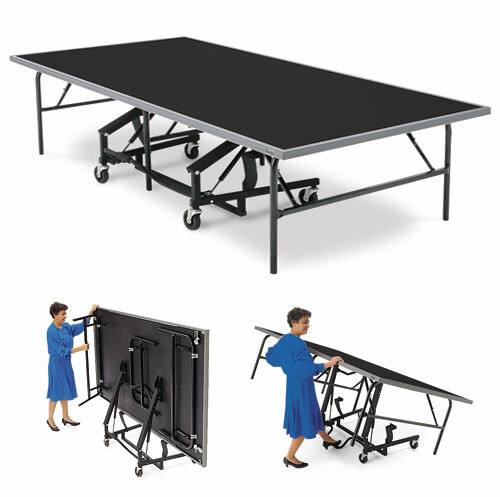 It's durable and extremely stable with a full complement of accessories that are easy to add. This is the one stage that's always ready to save you time, space, and money. 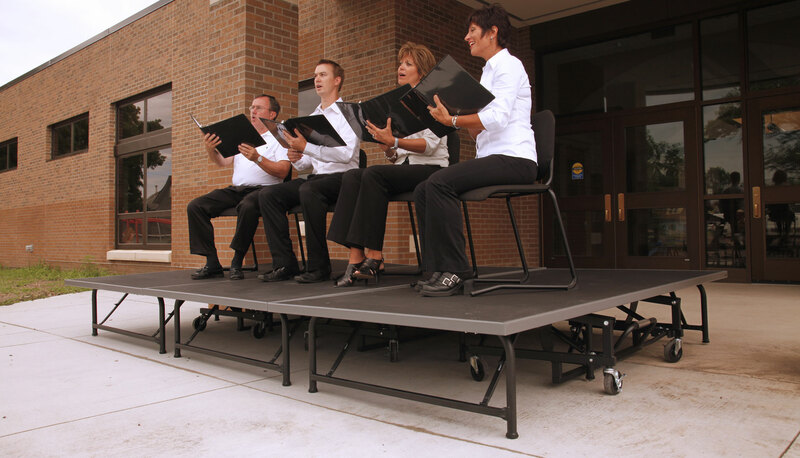 We use Stagehand for a wide range of special events at our school, such as graduation ceremonies and receptions. Stagehand is very easy to maneuver, set up and take down. Actually, it is very user-friendly and easy to operate. It also requires very little storage space. 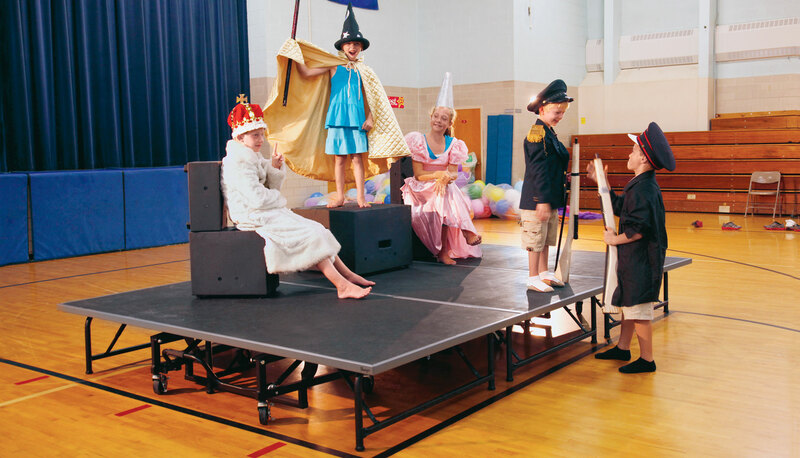 All in all, Stagehand was a sound investment for our school. Quantity pricing available on sets and volume orders. Please call your Wenger representative to help determine your needs. 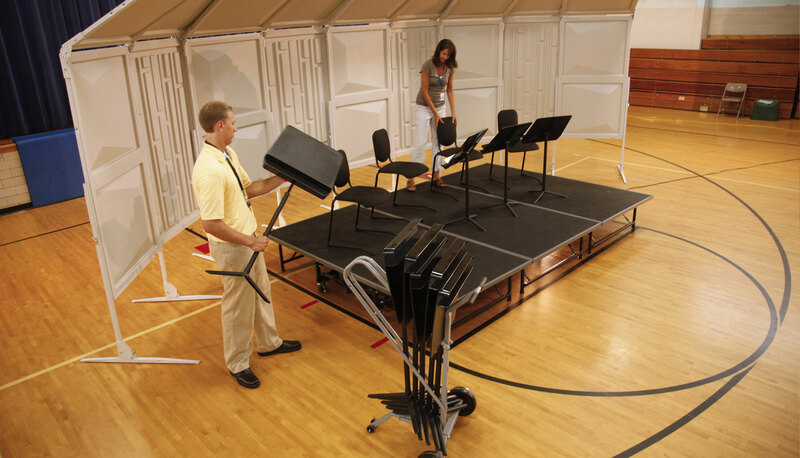 Your Wenger representative can put together a complete Stagehand Staging Set to meet your specific needs. Sets are available in a variety of sizes and include two stairways with handrails, back and side guardrails, and drapery closures on three sides – all the finishing touches needed for most applications.